 Newgale Lodge - Reservations, check availability, book now. to get in touch with us simply . . .
Why not spice up dinner time? Nothing quite beats an evening of al fresco dining! So, why not try out our wood fired pizza oven? You can create your own pizza and watch it sizzle and cook in under five minutes! It’s the perfect evening activity and our most popular on-site cherry topper.